Who doesn't love a marching band? Nice action shot! I can imagine the sound of the band. 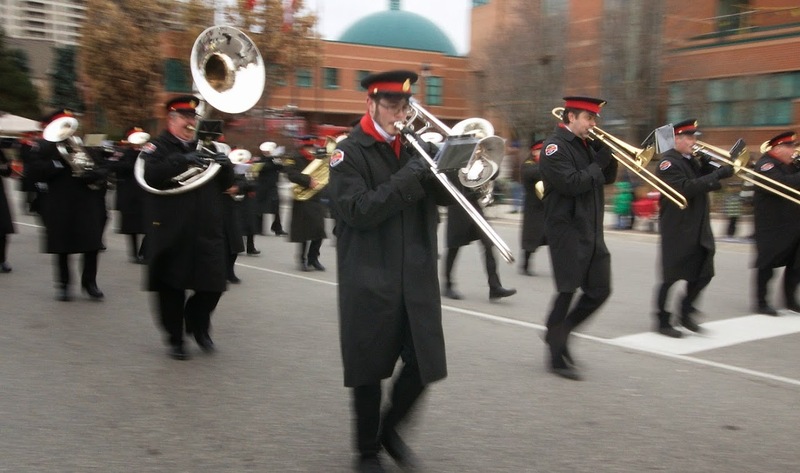 Here the S.A. has its band playing in the downtown core on Saturdays with a kettle for the Christmas drive.